Rick Platt: Be It Solar Panels, Steel, or Aluminum, Dumping is Unfair Trade. Period. Be It Solar Panels, Steel, or Aluminum, Dumping is Unfair Trade. Period. Dumping, in economic terms, is defined as providing a product at a lower price than the market bears. Companies, aided often by their country's government, do this to increase their market share by bankrupting their foreign competitors. The result, long-term, is higher prices for consumers everywhere as competition is artificially thwarted. 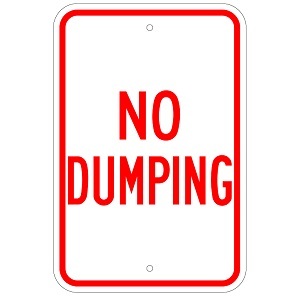 Dumping is unfair trade. It has been often seen and proved in the steel industry. Aluminum and food products have also been proven to be dumped. Solar panels now are on that list of proven, dumped products. A recent U.S. International Trade Commission finding was in favor of U.S. solar panel manufacturers against Chinese dumping of solar panels. Georgia-based Suniva Solar brought the suit and was joined by others. The Hill now reports backlash. "Dump on us," would seem to be the call of a most unusual coalition of right wing and left wing interests. If this story is to be believed, some environmentalists who favor solar panels fear tariffs that level the playing field in trade will make solar panels less affordable in the U.S. Subsidies have given solar energy a competitive leg up. They like the subsidies. If this story is to be believed, these folks have aligned with groups which despise tariffs of any kind on the premise that tariffs are a form of federal subsidies. They dislike the subsidies. No one should ever say, "Go ahead. Dump on us." To allow dumping is to permit unfair trade practices that undermine, long-term, domestic manufacturing. I make no apology for my manufacturing bias. Be it solar panels, steel, or aluminum, dumping is unfair trade. Period.